1Melt chocolate melts in glass in microwave for 30 seconds at a time until melted. Dip rice krispie treat into melted chocolate and immediately coat with sprinkles. 2Attach candy eyeballs. Stick optional skewer into treat. 1Melt chocolate melts in glass in microwave for 30 seconds at a time until melted. Fill candy mold with melted chocolate and refrigerate. 2Once candies are ready, take out of mold and push into pre bought cupcake. 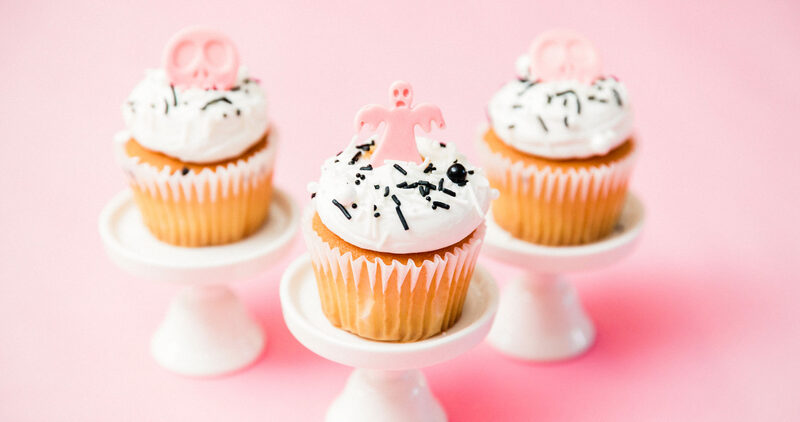 Finish off cupcakes with sprinkles on top.